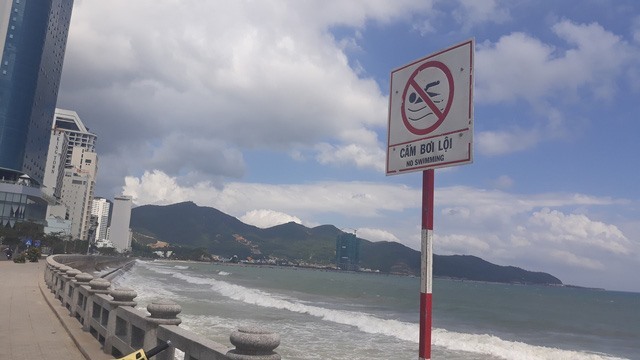 NHA TRANG — Two Russian tourists drowned at a Nha Trang beach on Tuesday, Tuổi Trẻ (Youth) newspaper reported. Nguyễn Hoàng Minh Tuyên, a sea rescue worker for the city of Nha Trang in central Khánh Hoà Province, told the paper the incident happened at around 11am in the Ba Làng area. He said the two male victims, whose identities are not yet known, were around 60 years old. Tuyên also said he could smell alcohol when administering emergency aid. Earlier, rescue workers had warned tourists, including the two victims, not to swim in the area. A sign reading “No swimming” is seen at the area. Local residents said this is a very dangerous area due to strong waves. Many people drown there every year. At 2pm, Khánh Hoà General Hospital confirmed it had received the bodies of the two tourists.